Daraspa has been quickly gaining recognition as a soulful and vibrant producer, whose music offers a combination of crisp progressive beats and warm hypnotic vibes. Based in the Netherlands, Daraspa’s sound has grown from years of dedication to the music and a wide range of DJ experiences in local clubs, as well as a residency in Mexico City. His EPs “Art of Illusion” and “Vaca Guitarra” truly put him on the map, receiving support from headline DJs such as John Digweed, Hernan Cattaneo, Darin Epsilon, and many more. Focusing on the music that creates a lasting memory for his listeners, Daraspa’s sound is often described as intimate, with sentimental and emotional atmospheres. Featured twice on Feelin’ Frisky, and as Artist of the Week earlier this year, Daraspa has already been making an impact on the Frisky listeners. 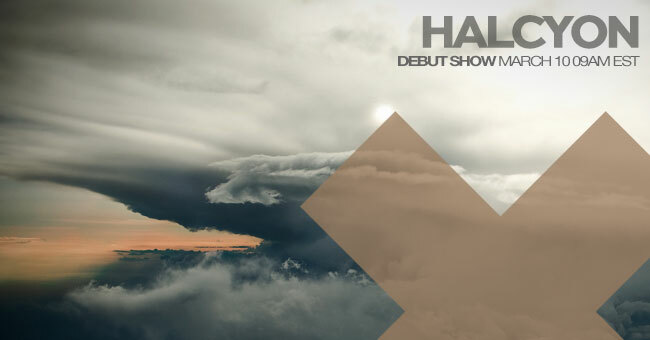 His new show Halcyon is an expansion from his deep roots, an open space for new and future music coming from this dedicated and talented artist. Tune in to the premiere episode on Monday March 10th at 9AM EST [convert timezone] and get ready to get lost in the mix with Daraspa.